As small business owners continue to grow their business, one of the most challenging tasks they face is hiring the right talent for executives, sales, or even a CEO. Of course, a small business owner wants to find someone with experience, and what better experience than those who work for the competition? These professionals have industry knowledge, insights, and even valuable clientele contacts that could propel the business above the competition. 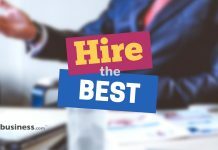 However, hiring executives or even staff from a rival competitor requires a great deal of tact, finesse, and even could include some legal maneuvering. To avoid costly legal ramifications, and the reputation of being an employee poacher, you should carefully consider these important tips. The targeted competitor’s employees use the same or similar networking contacts that you do. Rather than approaching an employee from a rival competitor directly, try using the subtle approach. Get the word out that you are looking to hire an “experienced” employee or executive. Make it known through the word on the street that you want to hire someone within the same industry and preferably within the same region or marketing circles. This could get a potential hire interested and approach you without ever “stealing” them directly from a competitor. However, do consider that the subtle approach may not work. You may not hear from any of the prized employees in your sights. Thus, this tactic can be a first-try effort to at least let people know you’re interested in hiring. If you have the budget available, a neutral third party employment agency could be a good ticket. The firm can approach an individual on your behalf without ever revealing up front that it is you doing the hiring. They can discuss “opportunities” with a targeted rival employee to see if they are interested. If your target does respond with interest, then more details can be revealed about your intentions. Using a hiring firm also protects you from unwanted destruction of relationships with other business partners. It is the firm doing the recruiting, not you. Though a prized rival employee may be desirable in your company, how do you know if the individual will be a good fit without a background check? Without a social security number and an authorization to release private records, there is only so much background you can check. Nonetheless, it’s amazing what information you can dig up with a Google search and social media. If you feel the potential employee is worth it, you may even want to hire a private detective who can provide you with a thorough check. It may seem obnoxious to go to such lengths, but if a rival employee can bring in hundreds of thousands of potential new revenue, it may be worth the time and investment. Of course, you may want to take a direct approach with a potential hire. Rather than beating around the bush, talk to the individual and be direct with your intentions. Be sure to sell your story about your business. Explain why you think you are better to work for than the competition, and how the individual can benefit you as well as vice versa. When looking to hire an experienced worker directly from a competitor’s business, do your due diligence to protect yourself from legal issues. Be upfront with the potential hire and ask if any non-disclosure agreements were signed with the competitor. This could prevent anyone from working with the likes of your business for years after they quit. If the new employee is caught working for you – and bringing along contacts, business associates, and clients from the competitor’s business – you can bet your competitor may want to sue. If it looks like there may be any legal trouble, it may be best to drop the pursuit. Be sure to consult with an attorney on these issues to protect yourself. When hiring experienced workers, be sure you follow the proper avenues when considering the staff of your competitors. Be subtle, if possible. Watch your back, and make sure that ultimately your business will benefit from the hire.